The kids have a rainbow colored bathroom...well I should say they HAD a rainbow colored bathroom until the striped shower curtain died an early death in a terrible washing machine accident followed by the demise of their green shower mat, which is now a funny shade of purple. 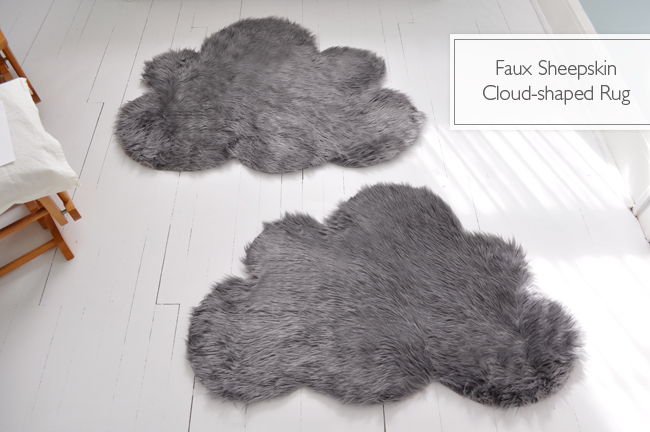 But one day it will return to its rainbow colored glory, and when it does I will want it to have gray cloud rugs (like the ones pictured above that Marichelle made) to replace the crazy purple shower mat. Because rainbows and grey skies gray skies go together. You can get the tutorial for these beauties over at Lifeflix. awww. This is soo cute!